Light up your room in vintage style with this elegant table lamp. Stunning lantern style design that will be perfect for the traditional interior with that quirky element. 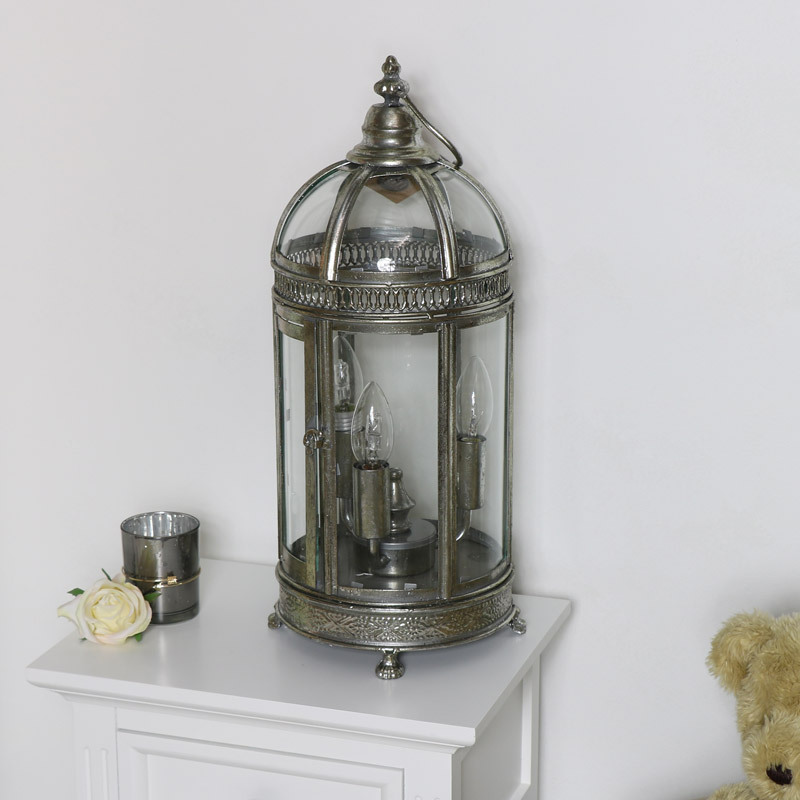 Intricately designed with punched metal decoration and a glass domed top. 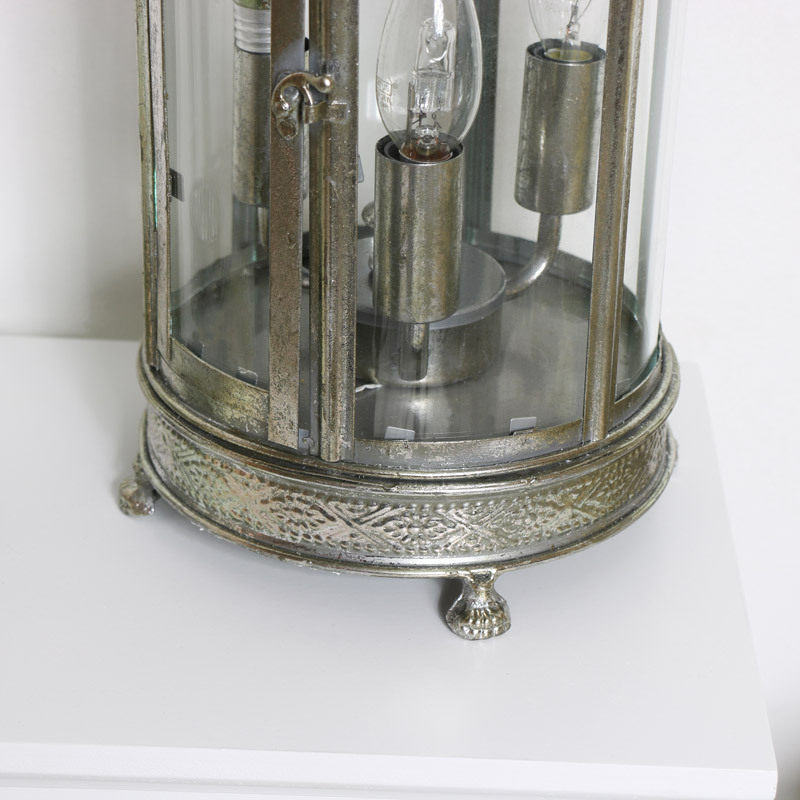 The lamp features rotating triple holder for candle bulbs, accessed by a glass door complete with latch for securing the door shut. Perfect for displaying on a lamp table or bedside and can be placed on the floor for a unique look. Light up your room in vintage style with this elegant table lamp. Stunning lantern style design that will be perfect for the traditional interior with that quirky element. 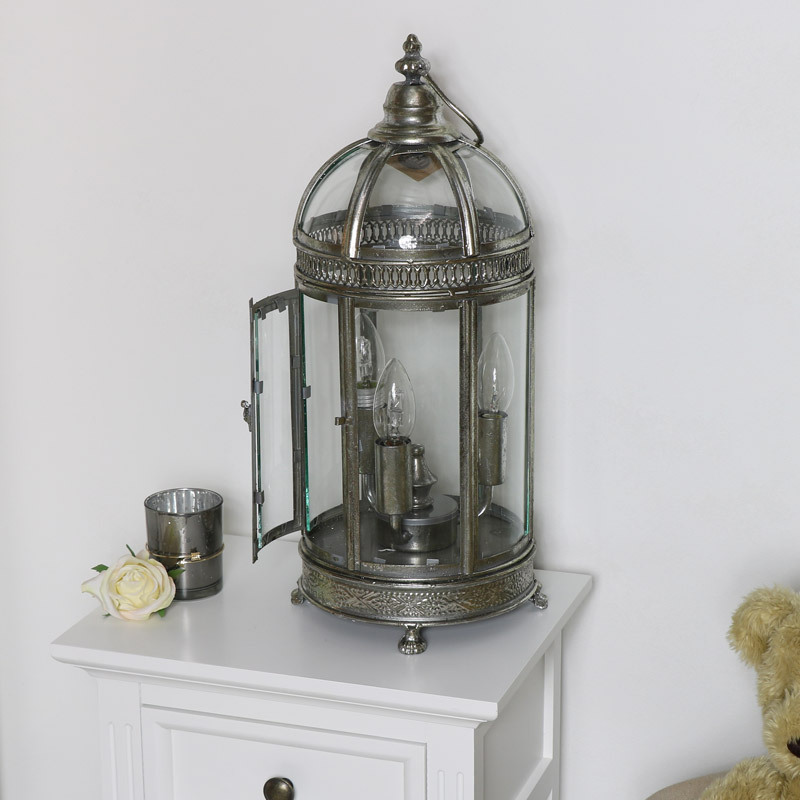 Intricately designed with punched metal decoration and a glass domed top. The lamp features rotating triple holder for candle bulbs, accessed by a glass door complete with latch for securing the door shut. Perfect for displaying on a lamp table or bedside and can be placed on the floor for a unique look. Constructed with glass panels in a silver metal frame. The lamp takes a E14 60watt max screw in bulb, features a standard UK plug and inline switch for easy access.